Joseph Marigliano, 48, was operating a Kawasaki motorcycle when he lost control and struck a tree, officials say. 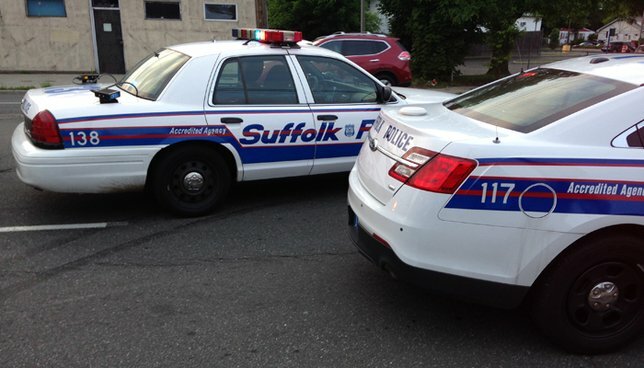 SCPD are investigating a vehicle crash that killed a man in Mastic Beach. Mastic Beach, NY - Sept. 21, 2018 - Suffolk County Police Seventh Squad detectives are investigating a motor vehicle crash that killed a man in Mastic Beach on Thursday, September 20, 2018. Joseph Marigliano was operating a Kawasaki motorcycle on Woodland Drive near Queen Road when he lost control and struck a tree at approximately 7:35 p.m.
Marigliano, 48, of Mastic Beach, was transported by Mastic Beach Ambulance to Long Island Community Hospital in East Patchogue where he was pronounced dead. The vehicle was impounded for a safety check. Anyone with information on the crash is asked to call the Seventh Squad at 631-852-8752. Subject: LongIsland.com - Your Name sent you Article details of "Authorities Report Motorcyclist Killed in Mastic Beach Crash"